﻿ Centara Seaview Resort Khao Lak (Thailand) | FROM $41 - SAVE ON AGODA! 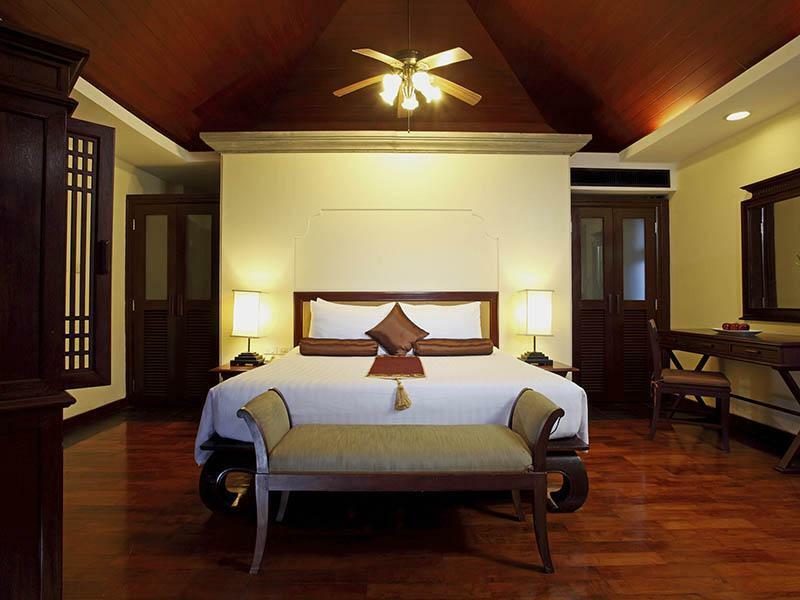 Have a question for Centara Seaview Resort Khao Lak? "The hotel is well facilitated with three swimming pools and very near to beach Good for family stay and very children welcomed that small groups and classes ava..."
"Staff however also friendly and helpfull." 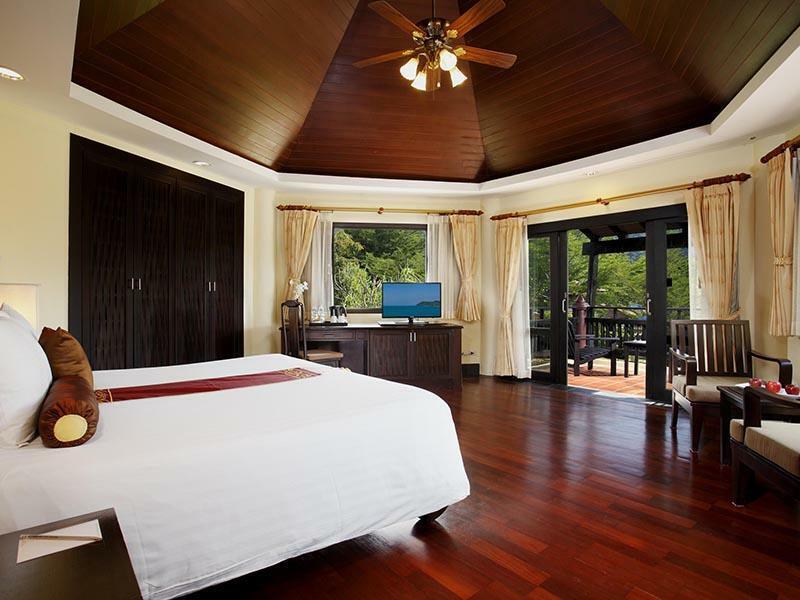 A tropical paradise, nestled between lush green mountains and the inviting emerald-blue waters of the Andaman Sea, Centara Seaview Resort Khao Lak is the perfect choice for any traveler. 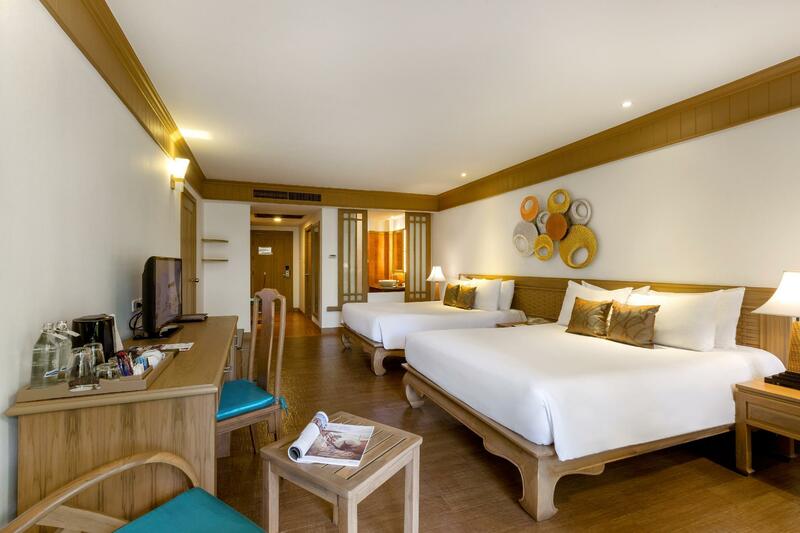 Less than an hour’s drive from Phuket International Airport, the resort is near Thai Muang Beach golf course, Thap Lamu golf course, and the pier linking to the Similan Islands. On offer to all guests is the chance for a dream vacation, whether you enjoy relaxing on fine unspoiled beaches, experiencing exclusive spa treatments, or diving amongst the wonders of the sea. 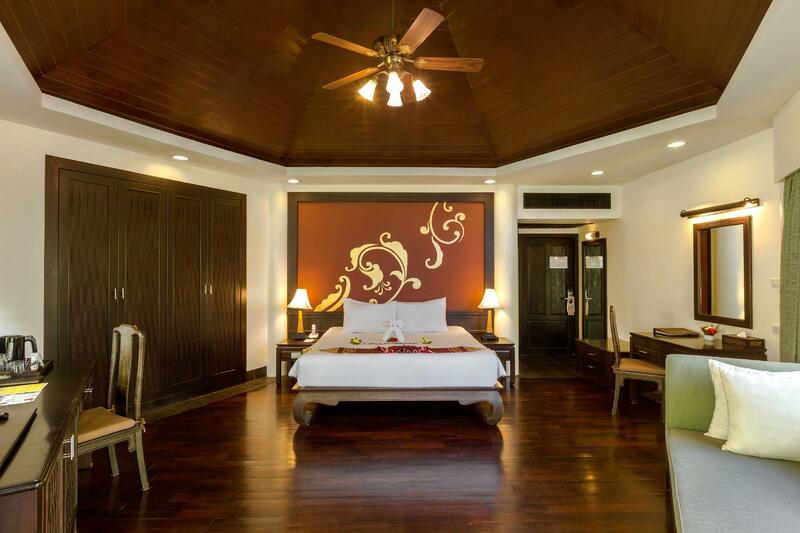 There are a total of 197 luxury rooms, including one Royal Executive Pool Villa, seven Royal Pool Villas, two Royal Villas, 27 Deluxe Pool Villas and three disabled rooms. A seaside swimming pool facing the pristine Andaman Sea and a large free form pool amidst tropical forestry make for idyllic retreats. An international buffet, fresh seafood, Thai cuisine, and a la carte menu are available in the seaside restaurants. Foreign exchange, babysitting, shops, laundry service, a tour counter, car rental, a game room, and security services are all on hand for guests to take advantage of. 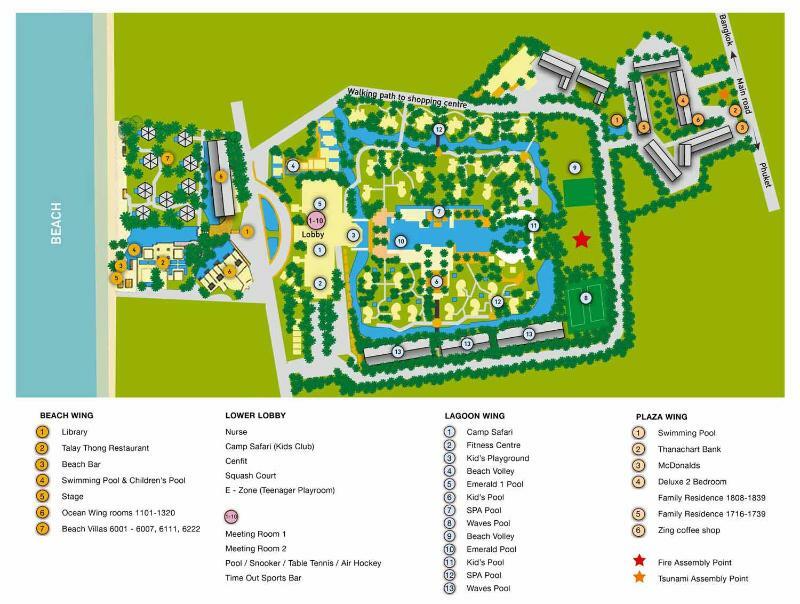 For your reservation at Centara Seaview Resort Khao Lak, please select the dates of your stay and complete our secure online booking form. "It is the good choice for short stays." We stayed in room 1116, Deluxe room. Great room, ground floor and close to beach and pool. We were given upgrade to family residence and we had a look first and luckily we did as the family residence is far away from the resort itself and the beach, totally seperate from the main resort. 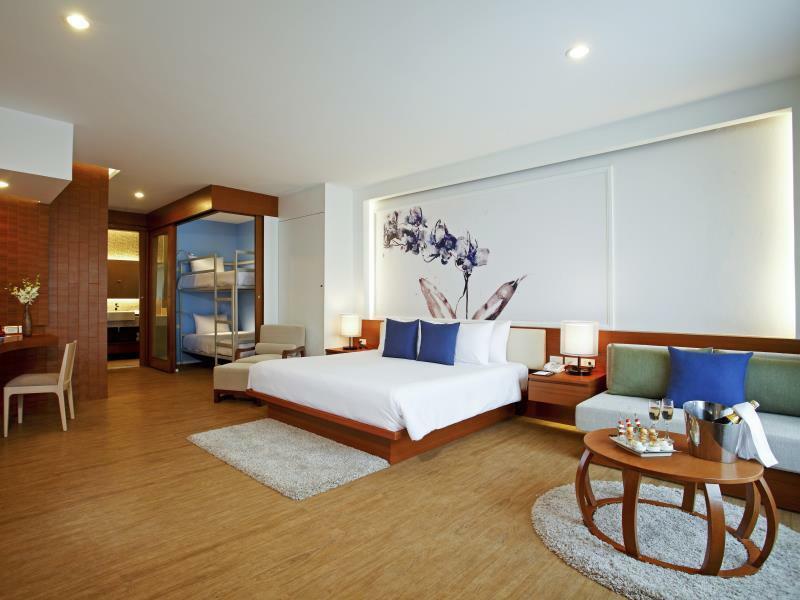 Great for families but deluxe room also has sleeping available for 4. Would recommend it is specified better. We declined the upgrade and took what we booked. It is worth the wait if they are still cleaning the rooms. Staff very accommodating, we arrived early and our luggage was stored and we could enjoy the facilities and beach. 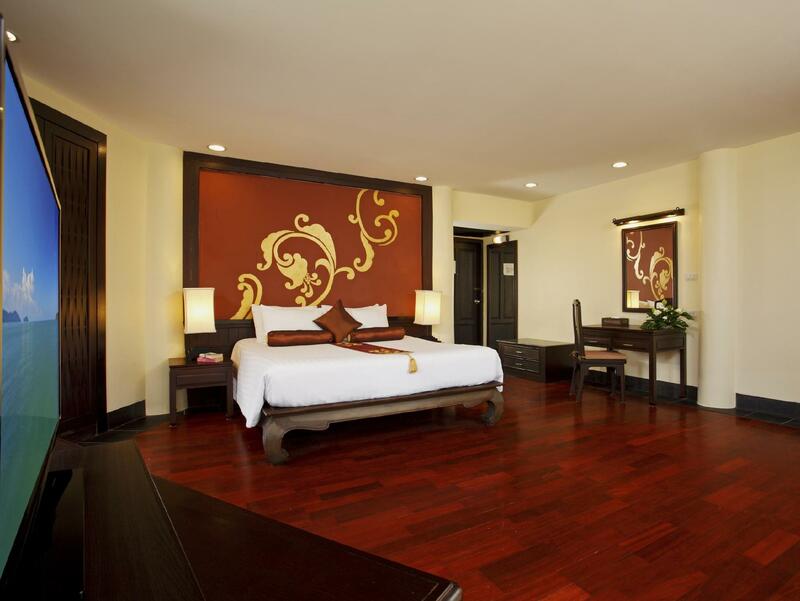 Room is spacious and clean. Resort location is perfect. Close to high street and all the restaurants. Resort itself is quite expensive. Almost 50 baht more for drinks than other places. All in all great resort and we enjoyed every moment! Very nice hotel. I love the quiet beach front location. Staff at check-in tried to change my room from a booked and reserved ocean view to a villa without ocean view. They said it was an upgrade, but I suspect they overbooked the ocean view rooms. They changed it after I objected, but the room I got faced the ocean, but the view was blocked by trees and plants. Breakfast was very nice. I also had problems on both days with electronic key card not working. I had to go to the reception desk every time we needed to get into room. Problem was never corrected. Also internet connection is bad. WiFi constantly loses signal and you have to log back in many times and sometimes it won’t let you back online. When I complained at checkout about our problems I was just told they didn’t know why and passed on to another staff member who would not acknowledge the problems, but would only say checkout? She acted like she didn’t understand English even though she spoke in English during my check-in. Great family rooms. So close to everything but it is a walk to the beach but this didnt worry us as we knew what to expect before we went. The pools are incredible and our lazy and fussy 14 year old had a great time in the pools. The whole place was beautiful and right in the center of town I would recommend this place. Our second time back to Centara. It is an excellent family resort. The family rooms are a little dated and worn but it doesn't matter to us. Our 2 year old loves the beach, pools, playground and proximity to McDonalds. The staff are excellent and very friendly. Breakfast was large and varied. We will be back again. the hotel is right at front of the Nang-Tong Beach - very beautiful view. not far from the main road. i stayed at the family residence zone where the most far from the beach (5 min walk through the swimming pool and lobby area), but it just at the back of McDonald and the main road of Khao Lak which is very easily for you to walk out to buy things or find something to eat. they also got the big swimming pool where you and your kids can enjoy the play all day. we stayed in a room by the lagoon for one night after a trip to the similan islands. i didn't notice a lift in the building and as we were on the 3rd floor at the end of our trip it made the luggage hard to handle. the staff were friendly and helpful. breakfast was diverse and tasty. there was no free wi-fi which was suprising. We stayed in a family duplex and it was great to have the extra room even though it was just my friend and I. We were there during the Thai new year celebrations and had a great time celebration along the main road (just outside our hotel). We had roti with banana from one street stall and also the noodle soup which were both great. we only paid aud for a family room (inclusive of 2 breakfasts not 4) which comprised two levels, ground floor with kitchen, bathroom and large lounge, upstairs with large master bedroom, kids room with bunk beds and 2nd bathroom. upstairs included a balcony and chairs with generous sea views. the family rooms look ugly from the outside but are great inside. they look to be recently acquired apartments adjacent to the rear of the main khao lak seaview resort, but it is only 800m walk to the beach through the main property. the resort includes 3 large pools, all of which are good. the main one includes a pool bar, water slide, water polo goals, waterfall, etc. the back entrance of this property (where the family apartments are located) walks straight out onto the main street in town into the heart of all the restaurants and shops. it is a great resort and the service we received from staff was first class. i can't recommend this place highly enough. we had a fabulous pool villa, the service was excellent and the staff were very obliging. the beds a bit hard but that is thailand. it was very quiet out of season but i presume is very busy during the diving season. a bit of a walk to the town but the hotel offers a golf cart for 100 baht to drop you off. My wife and I needed a long weekend break over the Chines New Year and were lucky to find this pleasant hotel. Service from ALL staff was very polite and when we checked in were upgraded to a suite which was large and overlooked the pool and gardens. Very peaceful and quite great breakfast a little busy from all the young children but pleasant since mostly Nordic tourists so normal and polite. The pools span the hotel and recommend the top most pool for the vista across the hotel. Probably a four star hotel but clean well maintained. We would stay again when our little one is born soon! Everything revolved around saving money for the hotel and the convenience of the staff, not the customer. Also I am going to stop using Agoda. The booking site was deceptive. Location, hotel area, beach was awesome. 2 very big pool and enough sunbeds. Very quiet ja relaxing place. Wifi work fine, even on the beach. We definitely come again. Near to main street. Lot aktivities mm. tennis, pool table, air hockey, gym, football, spa. Breakfast and food is good. Our room air-conditioner is very noise and not work probily. Nothing dries in the room. Staff needs organization.. now one will take order, and tell that to second one, who`s tell that to next who maybe do something about it. That`s reason service is slowly. There was some mosquitoes in the area in January. the resort is situated perfectly on the beach and nice for trips in the area. There are multiple swimming pools and enough to do for kids. The city itself is empty and only filles with small shops with the same crap. upon arrival, aircond not working. was fixed however quickly and option to change room was offered. next day aircond breakdown again, took already longer to fix. got a voucher for a free dinner, after signing a funny legal document that i will not sue or hold the company liable for its failure. seems they have that ready printed in stock. evening tried jacuzzy, not working. went for the free dinner, a disaster. ordered pork and beef and got fish. first time in my life i had an australian chardonnay which was undrinkable (not spoiled just plainly flat and tasteless). changed to sauvignon blanc, which was quite ok, however could not order 2nd bottle, as i was told its out of stock. strangely per glas the same wine was still available for us and on neighbours table. staff however also friendly and helpfull.